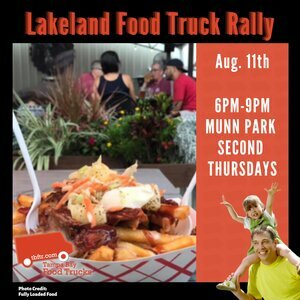 Join Tampa Bay Food Trucks at the Fishhawk Fellowship Church's Baptism Food Truck Rally! We will have a ton of food trucks including Manolito's Cubans, Spontaneous Consumption, The Kitchen by Devin Davis, Open Fire Grilled Brazillian, Cajun Cuisine, and Cheif's Chill Out. There will be a bouncy house!